World of Kallen is a fantasy-based browser game where you can explore the world of Kallen. It offers you lots of adventures and it’s completely free. 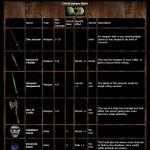 You can take a look at unique items where you can find rare swords, helms, masks, gloves, armor, boots, accessories, and so on. Most unique items give you a special effect and each object includes a short description. If you want to reach top 10 players, you have to gain a lot of experience. Interested? Visit World of Kallen website! 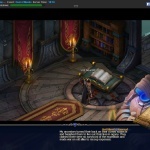 Winterfrost Legacy is a free browser game with great adventures. You can explore the wide world, meet interesting characters and earn gold. There are a lot of various surroundings, so keep wandering. Buy gems to be able to play the lottery where you can win precious items. Gain levels or purchase lots of gems to get wings. After completing certain tasks, you can earn rewards such as experience and a pot of gold. Skills give you advantages, so don’t hesitate to use them in battles. Interested? Visit Winterfrost Legacy website! NewAge3 is an adventurous role-playing game with lots of other players and awesome features. In a battle arena you have three options. You can search for a player by the name or id. You can also take a look at the attackable list where you can find all the players you can attack. And the third option is a determination of details to find specific opponents. Buy a gym pass, play the lottery, apply for a job, manage your units, invest in businesses, and so forth. Vinla is a browser based RPG where you may withdraw actual bitcoins depending on the time you invest into playing the game. 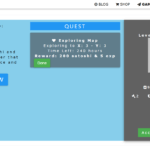 You can even gain bitcoins via doing quests. Challenge other players into PVP via matchmaking or go with PVE to gather loot. Ingame chat feature and daily bitcoin rewards. Move around the map to explore and gain experience to make your character stronger in order to earn bitcoin faster.